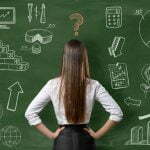 Match the right link building method to the right site. You will get so much more out of a link that matches your site’s content and niche (and they will be easier to score). 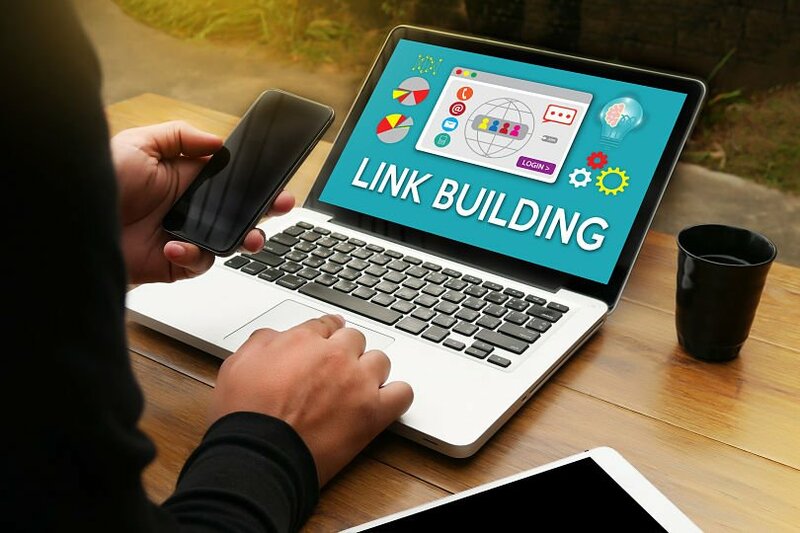 Here are the best link building strategies that actually work, and are tried and tested by successful SEOs. Start your next link building campaign today. A link to your site counts as a trust signal for your site. Use tactical SEO to maximize SEO returns and cut down on wasted effort. It’s best to focus your SEO efforts on tried & tested methods that are not only achievable, but that match up with your site content, link purpose and long-term business strategy. Creating meaningful content that connects with your audience. Useful content that adds significant user-value, going above and beyond your competitors. Content promoting like a boss – an essential part of any good content strategy is promotion after publication, but with the skyscraper technique sharing actually needs to built into the content creation process. This content has to be valuable enough for people to link back to it – strategically include other people in your content to encourage ‘ego bait’ sharing. Once you have created awesome content, the next step is asking people with a vested interest to link back to it, maybe because it will resonate with their readership, fulfill their content needs, or because they are featured in it themselves. Choose a range of keywords and footprints to find your target sites and then send out concise outreach emails, pointing out why linking to your content is a good idea – but be a bit more subtle about it. Make the email and the process all about them, not you. Reach out to bloggers doing roundup posts in your niche, and contact social media influencers. Start a spreadsheet of all the URLs and emails you contact, or even better, use an outreach CRM. Make sure everything is filed so you can use it again and tag relevant site owners in thank you tweets. Sharing is caring. Blog and forum commenting is a great way to build up your own personal SEO brand, or build up the credibility of a writer or content persona. There’s a whole ton of great digital marketing and SEO blogs out there and interacting on them can really pay off. Obviously, comment spam is not welcome! A lot of links gained like this will be no-follow, but there are a few blogs that still give follow ones as well. Spend time interacting with people: have a conversation, but try not to argue. Add value with your comments. Build up ‘points’ by commenting a lot on certain sites to rack up your credibility. Sometimes you can build a link by simply being helpful and using your creative skills. This is great for brands and businesses who have access to good creatives. Found a great blog post with a broken image or a visual element that could do with some help? By fixing up the image or creating a custom graphic and emailing the editor, you are often likely to get a link back as the credited author of the image. This works best if you focus on content in your niche or where the editors and site publishers are already aware of you. Cultivate relationships with the community around you and you will find it will be easier to approach people for mentions and shout-outs. Context is key, and quality is king. In B2B industries, a great guest post can be a really good way to connect with a new readership on a very topical issue, without having to ‘hard sell’ services or products. Quality writing that brings a service or product to people’s attention in a fun and subtle way is a great way to build brand and industry awareness. For guest posting success, identify the crossover between your industry and a target blog’s (or website’s) readership. For example, if you sell luggage, you might end up approaching a travel blog with a travel safety guide, detailing all the essential precautions travelers should take. Quality content needs to be targeted and pitched at the right audience – have a ready idea of blog targets as you write or brainstorm. Don’t get too hung up on blog post length, focus on quality. Outreach on a scale, but use a friendly template that doesn’t scream ‘template’ (worth spending a good amount of time on this). Good structure, formatting and imagery helps busy editors make favorable editorial decisions. Editorial calendars and processes can be lengthy, so don’t rely on a fast turnaround. Local SEO is great because it’s possible to get good results from relatively simple SEO tactics like registering your business on local business directories, managing your online listings, and collecting reviews. Just make sure to have a really clear action plan so you don’t end up wasting loads of valuable time. All information must be IDENTICAL down to spacing between numbers, so use a crib sheet when you mention your business details. Don’t make any mistakes: triple-check EVERYTHING. Try to figure out how many you can do in about an hour, and set yourself a few power hours to maximize results. Use tools like LastPass to cut down on time when filling in directories en-masse. Utilize Google My Business for free tools and information. Read here for more local SEO hacks. A Wikipedia link (despite being no-follow) is a great link, if you can get it to stick. The level of moderation on Wikipedia means that you can have your links removed quite quickly by moderators if the link isn’t adding value, and you’re better off contributing to Wikipedia on a semi-regular basis. Here’s a more detailed Wikipedia link building case study. The moving man method, or broken link building, is a fun tactic to try out for new brands. It involves finding old sites or blogs in your niche that have since stopped publishing, looking through their backlinks, and then approaching any sites who linked to them with your new proposition as a link (Majestic is a great backlink checker). By updating editors, you are helping them keep their site and content fresh, but they are busy people so be concise and clear with your proposition. This only works if your site is pretty much a direct equivalent or an improvement of the previous site. Have you tried any of these link building methods yet? How did you find them? Let me know what you thought of them! Gareth Simpson has worked as an SEO for almost a decade now and has recently started freelancing as a technical SEO in Bristol, UK. His SEO specialties are content and blogger outreach...and he likes green tea.